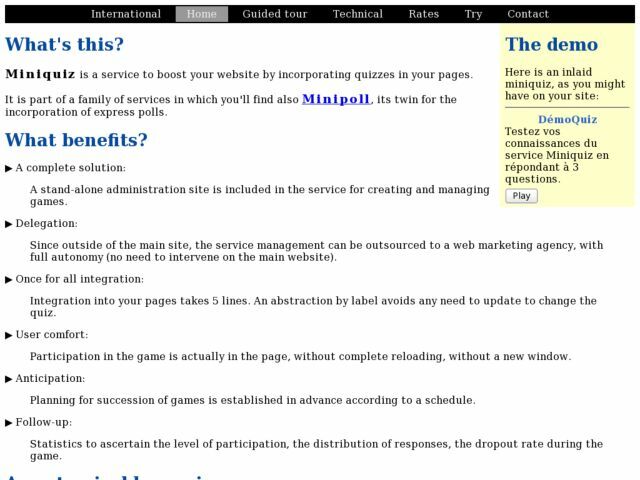 Miniquiz is a web service to embed quizzes in an already existing web site. An administration site is provided to set up and schedule the quizzes. A demo account is available to discover the service. See also Minipoll, a twin service for polls.